Timothée de Fombelle is a French playwright and the author of many books, including Toby Alone, Toby and the Secrets of the Tree, Vango, and A Prince Without a Kingdom. He lives with his family in Paris. Sarah Ardizzone has won several awards for her translation work. She lives in London. Sam Gordon is a freelance translator based in London. Alternating storylines and narrators challenge and beguile, eventually merging into a masterfully interconnected tale in which compelling themes of revenge, love, and devotion transcend both the fairy world's fantasy and the realism of wartime Paris. A luminous, haunting, intriguingly intricate modern fairy tale. 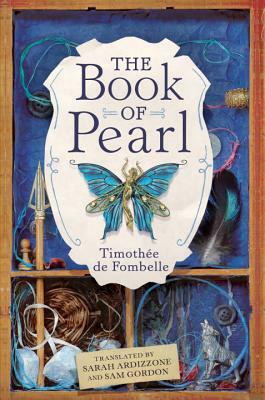 French author de Fombelle...has created a hauntingly beautiful story that has the weight and imagination of classic fairy tales by the likes of Grimm and Perrault. Can curses be broken? Can lovers be reunited and return to their home world? Or are they doomed to remain in one where they will always be separated? The answers are slowly and tantalizing revealed in beautifully artful ways, proving that ours, too, can be a world of unforgettable stories.